RecruitMilitary is a wholly-owned subsidiary of Bradley-Morris, Inc. (BMI), the largest military-focused recruiting company in the U.S. Together, BMI and RecruitMilitary offer employers access to more than 1,400,000 military job seekers via services that include contingency recruiting, military job fairs, a job board, employer branding, a military base publication and more. We offer our services free of charge to veterans and their spouses to support them during their job search. We host the nation’s largest single-source veteran database, with over 1,400,000 members. 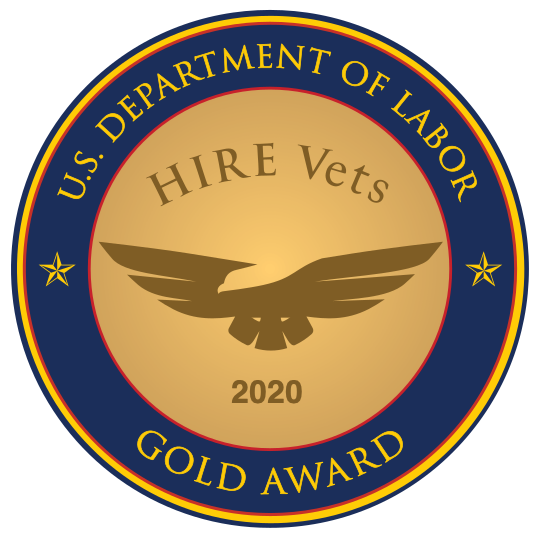 We publish the nation’s second-largest veteran hiring publication, Search & Employ® magazine, copies distributed every two months and a digital version on our website as well as the VetTen digital newsletter. In addition, we will have produced more than 1,200 job fairs in over 66 cities. We hope you consider joining us as we promote our Veteran Opportunity Expos. We believe that our career fairs are a win for your organization and the people you serve. Key partners can benefit their membership base by securing association discounts, training, and sponsorship opportunities. DAV is the most long-lasting veterans advocacy and assistance group in this country. And it has never wavered in its core mission to fulfill our country’s promises to the men and women who served. EANGUS is the only military service association – with chapters in every state and territory – that solely represents the professional enlisted men and women of the Army and Air National Guard and their families on Capitol Hill and in the halls of the Pentagon and has been doing so for half a century. The Most Relevant Source of Employment Data for the Military Community and Employers. Whether it is in finding employment, starting new businesses, completing their educations, improving personal relationships, assessing for new vocations, or locating health care to fully meet their needs, our Stand Beside Them (SBT) volunteer coaches are here to help veterans transition to civilian life. The mission of Still Serving Veterans is to serve and honor Veterans and their families, transitioning service members, and members of the Guard and Reserves by assisting them in securing meaningful employment and the Veteran benefits they have earned. This is your one-stop resource for HR advice, training, legal updates, news and information. They help keep their members current, compliant and competent. Veteran Franchise Centers sole mission is to provide free guidance to veterans, spouses and their direct family members who are seeking franchise ownership. Through our nationwide network of offices and our deep relationship with the franchise community, we can help find out which franchise opportunity is best suited for your goals and lifestyle! ClearanceJobs.com matches job seekers that hold active or current Department of Defense, Department of State, and Department of Energy security clearances to hiring employers and recruiters looking for skilled cleared candidates. Believing that the real growth in the vendor Human Resource sector could come from the standardization of non-standardized job boards, eQuest provides customers and businesses worldwide with a broad portfolio of job posting delivery services, interactive consulting services, e-commerce and business services. Smartpost offers their clients access to the largest media database available on the market. They also have an unprecedented array of metrics reports at their disposal. The result? More posts where the hires are.